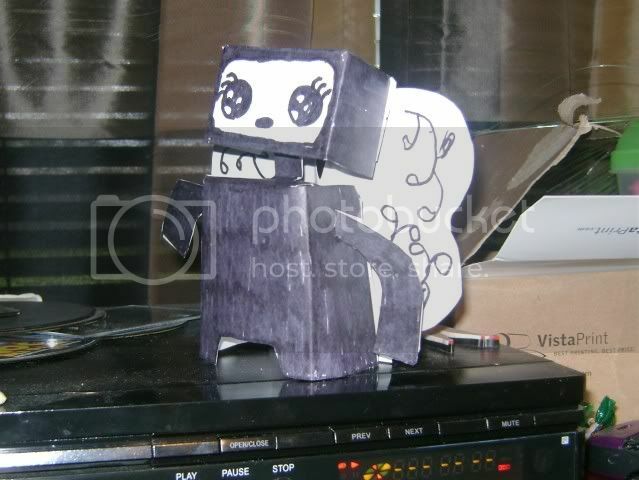 Everyone makes a papercraft model, on a specified date (a friday) pictures get posted in this thread and over the rest of that weekend anyone on the site can vote (including entrants), papercraft with the most votes wins. ok sugs in, anyone else wanna play? ok sugs jumped the gun slightly ;) how long do people want to make their papercrafts ? Tee hee... For this week?